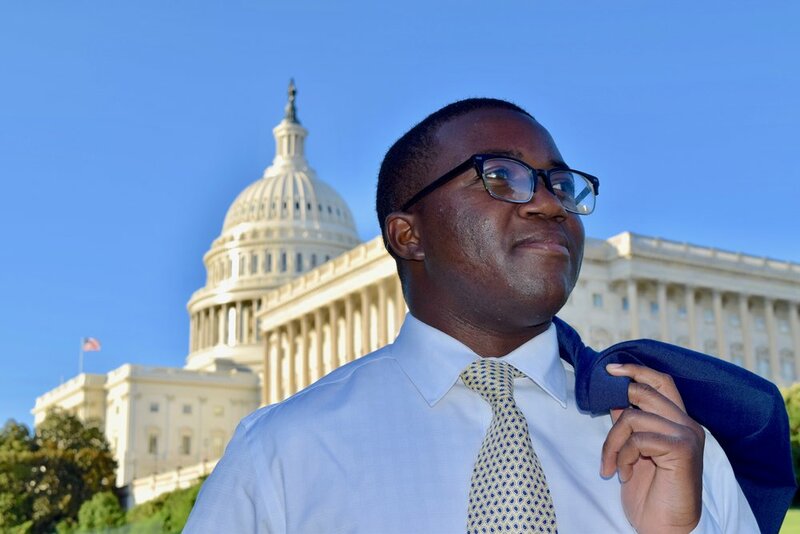 “[I had] no political connections and the financials to make a congressional internship feasible,” said Dino Nzanga Jr., who was a College to Congress intern last summer in Massachusetts Democratic Rep. Katherine M. Clark’s office. The 22-year-old from Seattle has since graduated from George Washington University, and he is now a project assistant at the public affairs firm APCO Worldwide. Madeline Peterson was a rising senior when she interned last summer at the Republican National Committee through its Eisenhower Intern Program. Since graduating from the University of Alabama, she has signed on as a special assistant at the RNC. “I do feel fortunate in that when I was an intern last summer, people were very willing to help me network, and I didn’t have any connections in politics, in D.C. especially, because I’m not from the area,” the 22-year-old Illinois native said. For Vashti Hinton, her school, North Carolina A&T State University, recommended her for the Historically Black Colleges and Universities Internship Program last summer. Under the program, interns spend four weeks each in the offices of two North Carolina members, Democrat Alma Adams and Republican Mark Walker. A North Carolina native herself, Hinton, 23, is now a legislative correspondent and staff assistant to New York Democratic Rep. Gregory Meeks. Carissa Smith, also 23, came to D.C. through the Congressional Black Caucus Foundation’s Pathways to the C-Suite Internship Program. She worked for the advertising company R&R Partners on a contract with the Democratic Senatorial Campaign Committee. “Through that hands-on experience, I was able to see, ‘OK, this is where I belong’ and I thoroughly enjoyed the work I was doing,’” the New Jersey native said, a sentiment the other interns also expressed. She graduated from Bowie State University in Maryland and is now Ohio Democratic Rep. Joyce Beatty’s press secretary. “Whether you’re an intern or you want to work on the Hill — I would say persistence is key,” she said. She applied to 30 offices before she got her job with Meeks. Peterson returned to D.C. over spring break of her senior year to network with people she had met through her RNC internship. “The most intimidating part about leaving an internship at the end of the summer is ‘How can I stay relevant?’ And ‘How can I make sure that when I come back to D.C. … post-grad, that people would remember me and be willing to help me in my job hunt?’” she said. Nzanga’s program, College to Congress, hosts Friday “lunch and learns” to bring interns to different offices around the city. “One of our ‘lunch and learns’ specifically was at APCO Worldwide. I hadn’t heard of it before, but I got to meet with some of the upper staff,” he recalled, adding that his internship experience “absolutely” helped him land his current job. Smith’s program also gave her the extra boost she needed. “The director of programs at CBCF personally recommended me to the staff of Joyce Beatty,” she said. An interest in politics is a given for anyone interning on the Hill. But doing the hands-on work made all four former interns determined to stick around the so-called D.C. swamp full time. “You can just feel the fact that everybody working here, (a), loves America and (b), wants to make the country better. You can feel that everybody has good intentions,” Nzanga said. Hinton was able to experience the dynamics of two different offices. “One thing I’ve learned, mostly as an intern and as a staffer, every office has its own culture and their own kind of chemistry,” she said. And once you get the D.C. bug, it’s hard to turn back. “Politics and its environment is really fast-paced and exciting, and being a part of that as an intern really solidified for me that that was the world I wanted to work in after graduation,” Peterson said.